Our E-Series Water Mist fire extinguishers use innovative water mist technology and are design to combat class A, B, C, and F fires as well as fires involving live electrical equipment. They have a broader fire-fighting capability than water, powder, foam or wet chemical fire extinguishers and use di-ionised water to create a mist curtain cutting off the fires oxygen supply and smoothering the flames. The innovative water mist technology allows our extinguishers to produce over 22 billion water droplets from only 1 litre of water. 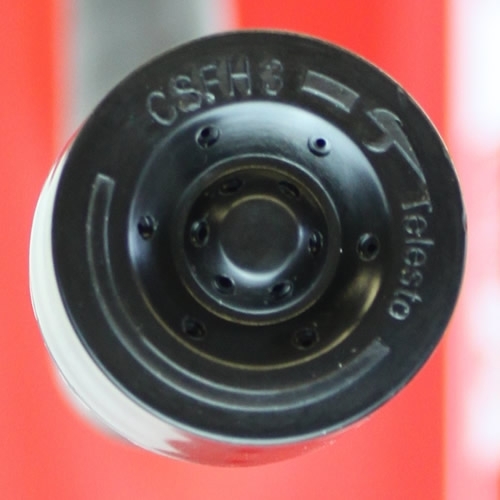 The patented nozzle creates water droplets unlike any other extinguisher, producing a mist that leaves almost no trace and no collateral damage and leads to the extinguishers often being referred to as "dry" water mist. 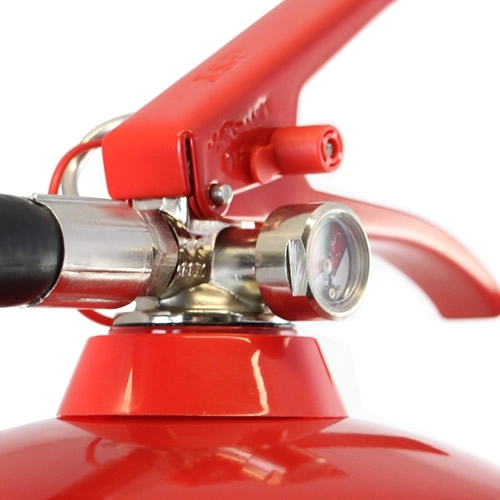 Water mist extinguishers are capable of tackling almost all common types of fire including class A, B, C, and F fires as well as fires involving live electrical equipment of up to 1000V. The unique water mist has the cooling effect of water and creates a "mist curtain" cutting off the fires oxygen supply and smothering the flames. 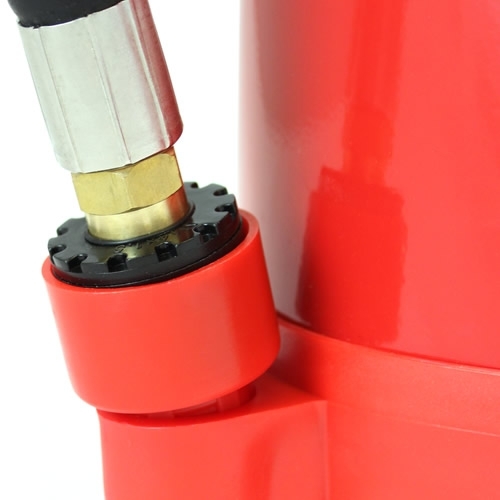 Manufactured to the highest quality standards, our water mist extinguishers have been tested in accordance with the BS EN3 manufacturing standard and have achieved the Kitemark or LPCB mark. The extinguishers have proven themselves in rigorous fire tests and offer excellent fire ratings across the entire water mist range. 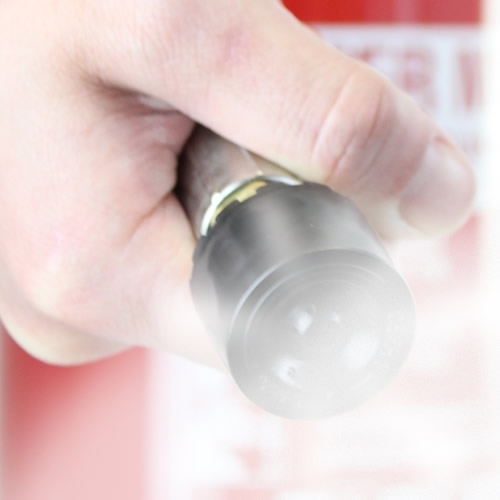 The water droplets created by our water mist extinguishers are so small that electricity cannot travel through them. They are also filled with de-ionised water which cannot carry an electrical current and have been di-electrically tested with 35000 Volts making them completely safe for use on live electrical equipment (up to 1000V at 1m distance). 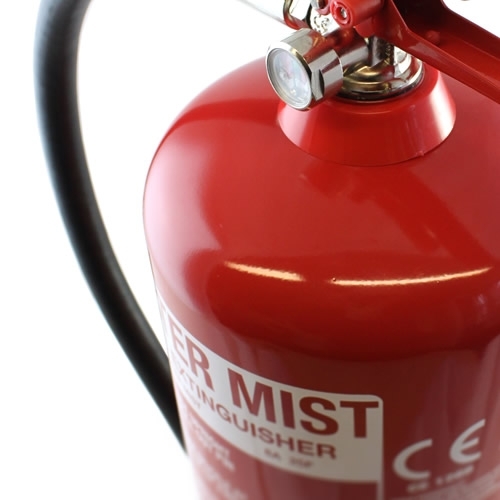 Manufactured to the to the highest standards and using the best quality materials available, the water mist extinguishers are built to last. The exceptional quality of the extinguishers gives us the confidence to offer and excellent 5 year warranty across our entire water mist range. 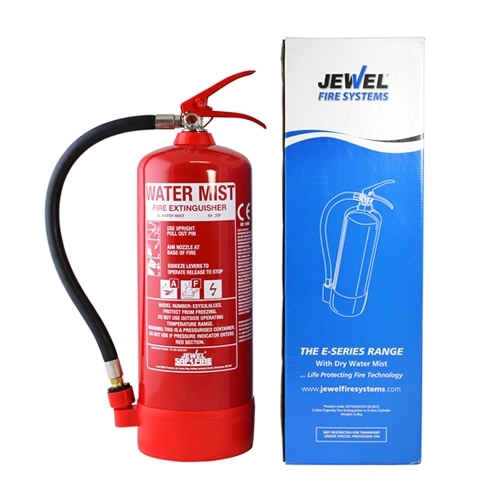 Our water mist fire extinguishers are extremely eco-friendly and do not contain any harsh chemicals or substances that could damage the environment. They use di-ionosed water and a patented nozzle to create the mist and leave behind almost no residue after they have been discharged. 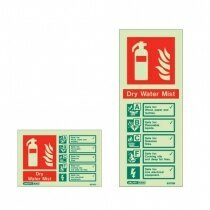 Our water mist extinguishers have been certified for use on a range of fires including class A, B, C and F fires and fires involving live electrical equipment up to 1000V. 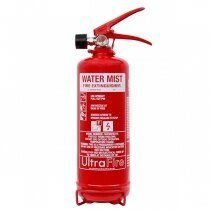 Some of our customers that have installed water mist fire extinguishers. 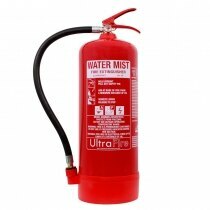 A collection of images showing the features of water mist fire extinguishers. 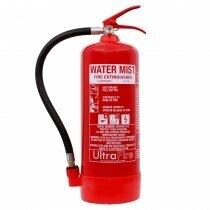 Water mist fire extinguishers have increased fire fighting capabilities over traditional fire extinguishers such as AFFF foam and ABC powder. 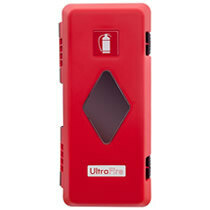 They use di-ionised water and are extremely environmentally frindly. Watch our demonstration video to see water mist fire extinguishers being compaed with traditional fire extinguishers when being used to tackle a full range of different fires. Flexible Delivery Options We have a range of Economy and Next Working Day delivery services available. From £3.90 ex VAT Live Online Customer Support Looking for more information? Chat with one of our live online customer support assistants. Available Now Excellent Customer Feedback 9.6 / 10 - See what our customers say.